today was the cheerio show at school. this event occurs at the end of every school year – it’s a time to recognise and say goodbye to students and faculty who are leaving. the biggest group of leaving students are the seniors. but there are more than a handful of others who are also going. 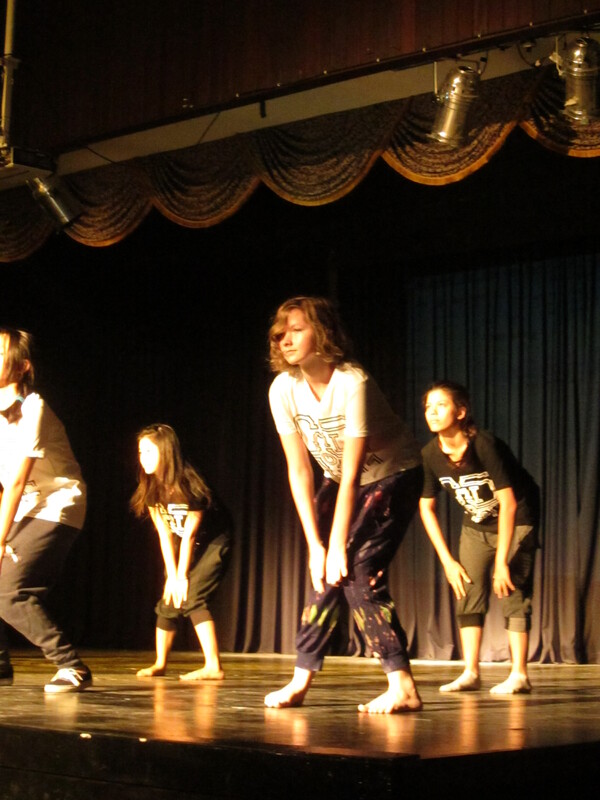 today, as part of the celebration, the dance classes performed. a16 is in beginner dance and they busted a groove or two. i’m sure i’ll have plenty of more formal pictures of this group come graduation night. and then we got to see the seniors gift to the world – or at least the rest of the school. This entry was posted in c21, transitions. Bookmark the permalink.